There are many vendors out there who would call their products as potting soil or potting mix. The terms “potting soil” and “potting mix” seem to be used interchangeably, not only by lay people but also by the experts and the industry. 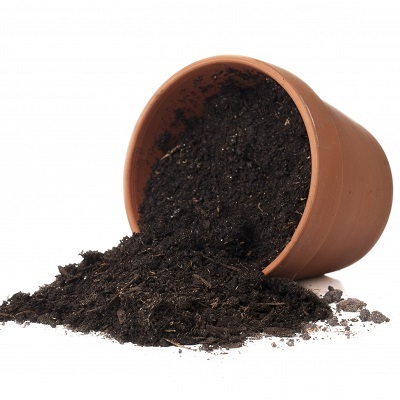 However, this is just the initial impression; not all potting soil and potting mix products are the same. 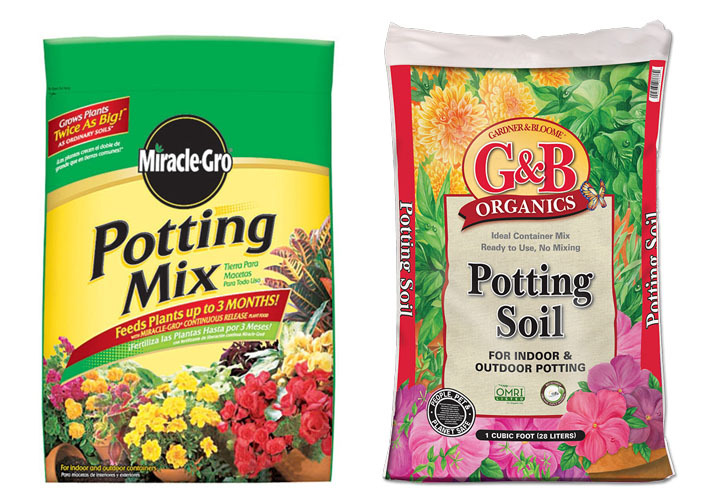 So, what is the difference between potting soil and potting mix? When given both as the choices, which one should you choose? If you have been wondering about these questions, you have come to the right place; below, we are going to discuss about the differences between “potting soil” and “potting mix”. 1 Overview – What is a Potting Mix? Overview – What is a Potting Mix? When you want to grow a plant, you usually need to get some potting mix as the media for the plant to grow. This specialized media is needed if you want your plant to grow healthy roots. This specialized media is very different from the regular soil on your backyard. As a matter of fact, a good media is not made from real earthen soil. That is perhaps surprising if you have not heard about it before, but that is the truth. Such media is actually made from composted bark, peat moss, as well as other ingredients that do not include earthen soil. Why don’t we use real earthen soil? Consider a pot that provides an artificial growing environment for a plant. Potted plants need to be watered regularly, and their roots need room in order to grow and spread. However, over time, regular earthen soil will become compact and solid, especially after many times of getting watered. Hence, the now compact and solid soil will make it very difficult for the roots to grow and spread. In addition, real earthen soil may also bring insects and diseases, which may disturb or even kill the plant you are trying to grow. A good potting mix should be fluffy enough and don’t get too compact over time so that the plant roots will be able to grow and spread properly. 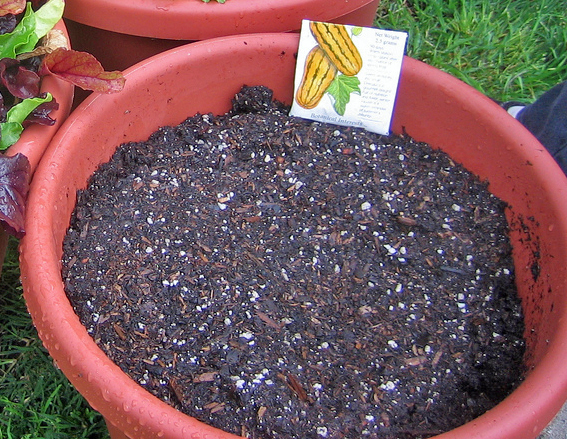 In addition, a good potting mix should be able to hold moisture with an ideal amount. If the potting mix is too dense, too dry, or too wet, the plant roots may get stunted or the plant may even die. Still, the potting mix should be quite solid to provide anchorage. It goes without saying that the potting mix should contain a sufficient balance of nutrition as well. While such products are typically called “potting mix”, some vendors name their products as “potting soil” instead. In many cases, they are referring to the same thing. Thus, many people use the terms “potting mix” and “potting soil” interchangeably. However, there are also some vendors who make such products using actual earthen soil instead of the carefully chosen nutritious ingredients. Some are completely made from real earthen soil, while some others combine earthen soil with some other ingredients. And these products are sold as “potting soil”. Technically, these vendors are not lying. The labels read ‘soil’, and they contain real soil. However, we have discussed above that real earthen soil is not good for growing plants because of several reasons. So, these “potting soil” products are of bad quality, or at least are not as good as “potting mix” products. So, how do we differentiate potting soil and potting mix? Should we always choose “potting mix” instead of “potting soil”? Well, not really. We have explained above that some vendors call their potting mix products as potting soil, so there are good potting soil products as well. A better way to choose the right product is by reading the product’s ingredient list. If it contains soil, it is certainly not suitable for containers. It is more suitable for raised beds and for filling in low spots in the lawn. Some products may even contain perlite, vermiculite, or sphagnum moss, but, still, if it contains soil, it is not ideal. If the ingredient list is not listed, consider the bag’s weight. If it is heavy, there is a big possibility that its main ingredient is soil. Good potting mix products are typically lightweight, and may contain aged bark, composted forest products, vermiculite, perlite, lime, sphagnum moss, and a wetting agent to keep the media uniformly moist. Or, alternatively, just stay away from products that don’t list their ingredients. Another way to test the quality of the soil is by seeing how it drains. Place the soil in a pot and water it. Good soil would hold the water without puddling up or draining completely through, and should start draining out within approximately ten seconds. However, if it becomes soupy or if the water drips out slowly, it is not ideal for potting. Some products may also include moisture-holding polymers, fertilizers, or even pesticides. These are optional ingredients, and make sure to choose correctly. Moisture-holding polymers are used to keep the media wet for a longer time so that you won’t have to water too frequently. Fertilizers are not always necessary, but you can use them to give the plant a charge when starting. Pesticides are good to keep away pests on the bay, but make sure that you don’t use such chemicals for herbs and vegetables! There are also “topsoil” and “compost” products, which are usually cheaper, but those are more suitable for working the plant into the ground, as those are too heavy for pots and raised beds. Even though “potting soil” and “potting mix” seem to be used interchangeably, they are not always the same. While good quality potting mix products are made from high-quality ingredients to create the ideal media, some potting soil products use actual earthen soil which is not good for the growth of the plant roots. You should differentiate good potting mix products from bad potting soil by reading the ingredients. If it contains soil, it is not good for potting. You can also try to measure the weight and see how it drains water.